The popular pizza ordering app from Pizza Pizza has reached a milestone–over 111,111 orders placed since the launch of their iPhone app six months ago. 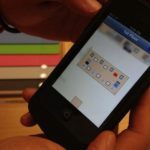 The app was created by Plastic Mobile, and continues to make it easy to order pizza easily from your iPhone. 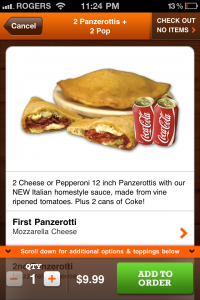 Who’s using the Pizza Pizza iPhone app? Are you part of those 111,111 orders? Click here to download Pizza Pizza, it’s free. 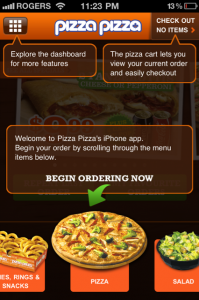 Another pizza ordering app is available from Pizza 73.